Russia is increasingly feared by many in the West as a growing security threat, yet paradoxically it’s one of the key players in finding a solution to the Syrian conflict. 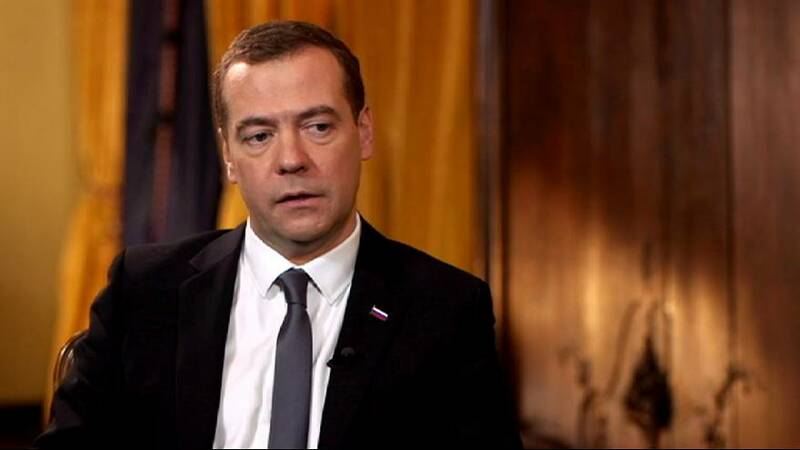 Meanwhile, the country is buckling under an economic crisis – to discuss these issues I’m joined in an exclusive interview, by Russia’s PM Dmitri Medvedev, at the Munich Security conference. Dmitri Anatolyevich Medvedev was born on 14 September 1965 in the city of Leningrad, now St Petersburg, Russia. He attended the Leningrad State University and graduated with a bachelors degree in 1987 and a law degree in 1990. He was offered a position at the university to teach law in 1991 and remained there until 1999. His first move into politics came when he was offered a role as advisor in the legal team of St Petersburg’s then mayor, Anatoly Sobchak. The mayor also recruited Vladimir Putin as senior advisor to his administration and the two worked together for the next five years. Medvedev received the call to Moscow from Putin, who was made prime minister in 1999 by Boris Yeltsin. When Putin ran for the presidency in 2000, Medvedev was his campaign manager. Under the Putin presidency he was named first deputy chief of staff. He quickly rose through the ranks to be appointed chairman of the state-owned utility company Gazprom, then chief of staff and deputy prime minister. He succeeded Putin as President of Russia in 2008, serving in the post until 2012, when was appointed Prime Minister.